Most commentators have dismissed as overblown suggestions that Moscow is preparing to occupy Estonia, Latvia and Lithuania because they are members of NATO and the EU and because such a Russian action would lead to a major military conflict between Moscow and the West. Among Russian commentators who have talked about a possible Russian military thrust to occupy the Baltic countries is Rostislav Ishchenko whose April 16 article attracted both widespread attention and ridicule as nothing more than a Russian effort at ideological intimidation. But as US-based Russian commentator Kseniya Kirillova points out, “certain experts are certain that Ishchenko’s article reflects perfectly well the point of view of the Kremlin” and thus deserves to be taken most seriously. Among those taking that view is Aleksandr Sytin, a former researcher with the influential Russian Institute of Strategic Studies (RISI) which was established within the Russian SVR [Russian Foreign Intelligence Service – Ed.] and now is part of the Russian Presidential Administration. According to Sytin, “all the signs of the development of a military mobilization scenario are present” in Russia, something that reflects “the deepening economic crisis, decline in the standard of living and the radical rise in the number of unemployed.” This is most obvious opposite Ukraine but it also involves the Baltic countries. Regarding Ishchenko’s argument in favor of Russia’s invasion and occupation of the Baltic states, Sytin says that it should be understood in terms of “the close alliance between Russia Today and RISI” and “the traditional tactic of the Russian authorities” who seek to structure public opinion in advance of their actions. According to Sytin, his many years at RISI taught him that when the media feature a large number of articles describing in positive ways a particular foreign policy action that means that “in the Kremlin, they are really thinking about it and making calculations.” Given that Ishchenko’s argument fits in the general line, this interpretation is even more likely. That is exactly the argument Ishchenko made, Sytin says, adding that he is confident that this is the kind of thing people in the Kremlin are thinking about but have not yet calculated the real costs of what they are proposing because they hope that the threat of action will be enough to force the West or at least Europe to compromise. Could a Baltic-Black Sea alliance be taking shape? 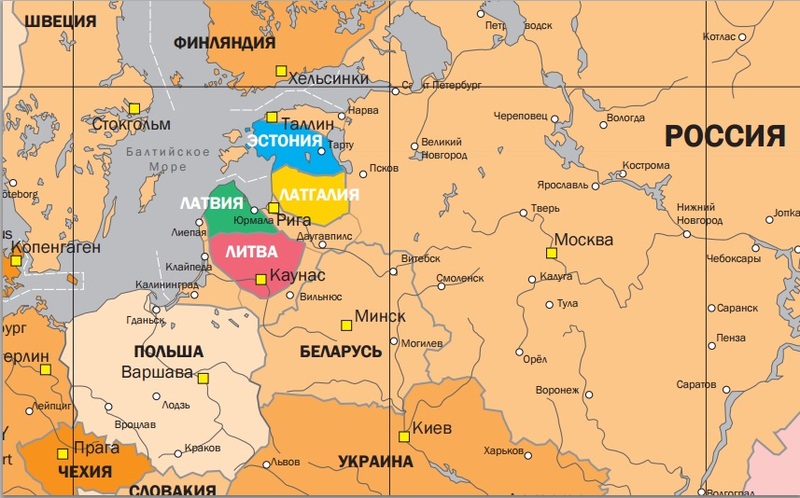 Russia creating prerequisite for invasion of Baltic states?